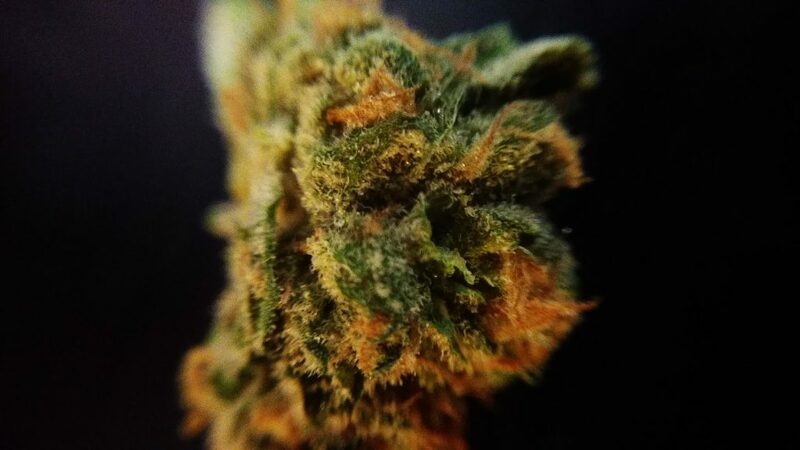 Grapefruit Durban is knockout that will certainly have you coming back for more. Durban is a Sativa if there ever was one. Jack Herer, Haze, and Durban backgrounds converge to make this pungent and citrusy mix that will have your mind tuned to the max. Grapefruit Durban is definitely not a strain for those who are looking to chill, or slow down. Being a Sativa, Durban is a “working man’s” strain. I was amazed at just how grapefruity it is, it brings back memories of breakfeasts of long ago where grapefruit would be given a sugary kiss that leaves you licking your lips. 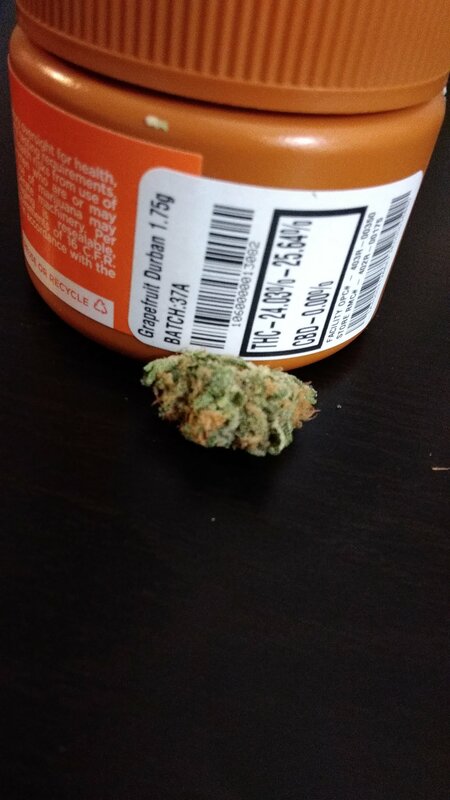 For me, this strain was almost too much. It’s just so damn potent, and had me dying to burst into conversation at any opportunity. For this reason I’d say it’s a good strain for social situations , that is, if you’re into being a bit sped up in social settings. I’d definitely advise noobs to steer clear of this one for now. It packs such a punch that even veteran smokers may be at a loss for words. This is also a very strong smelling strain, so if you’re looking to keep your smell factor to a minimum this may not be the best strain for you.